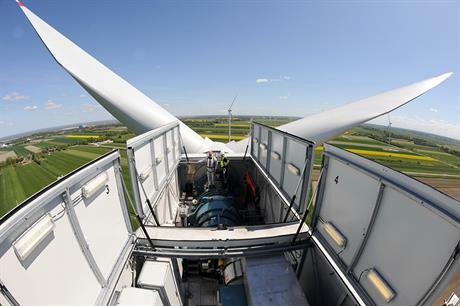 GERMANY: German developer PNE Wind is considering the sale of its German wind farm portfolio instead of raising funds through an initial public offering (IPO). PNE Wind said it had a wind portfolio of 142MW either in operation or under construction, with a further 10MW project in the development process. The developer said it would look to sell some or all of the portfolio because it is a "more secure transaction" than listing the company on the stock exchange. "Following extensive market research, we have now decided to sell the wind farm portfolio of roughly 152MW directly to investors or strategic partners. In the current market conditions, we see a better alternative in the direct sale of a complete portfolio, or a proportion of it, than in a possible initial public offering," PNE chief executive Markus Lesser said. Negotiations with investors are due to be completed by the end of this year, the company added.